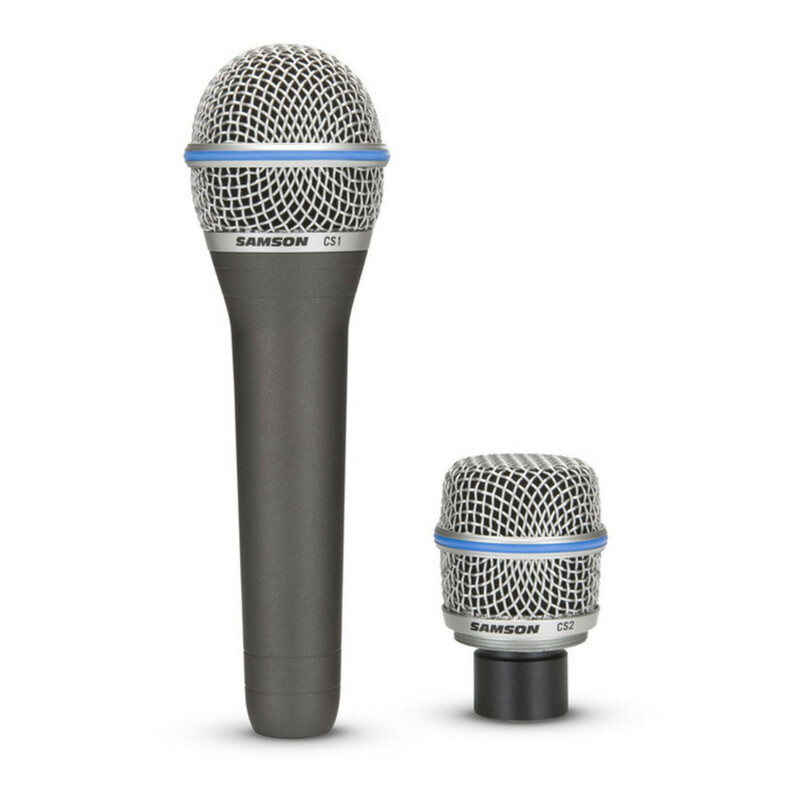 Dynamic microphones come in many shapes and sizes – some with large diaphragms, others small. 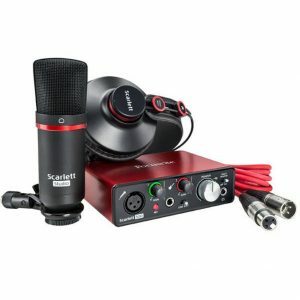 The size and design of the dynamic element plays a big role in how the mic sounds. In general, the larger the diaphragm, the smoother and deeper the sound. For instance, the venerable large-diaphragm ElectroVoice RE-20 is prized for its silky smooth vocal reproduction. 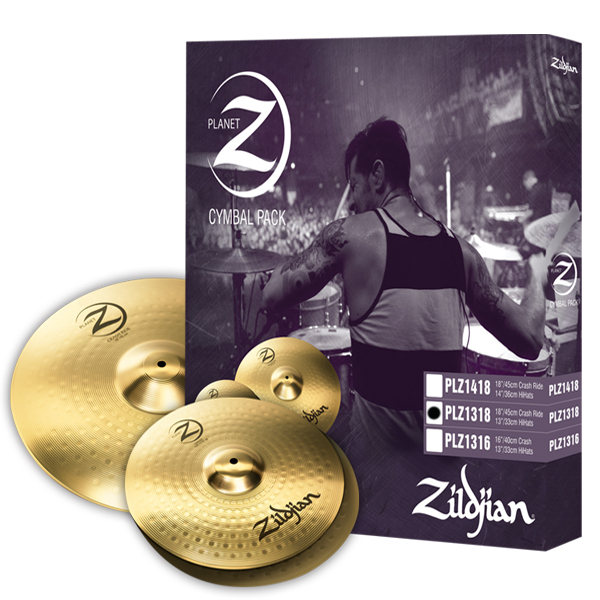 It is also a favorite for brass instruments and bass drums. 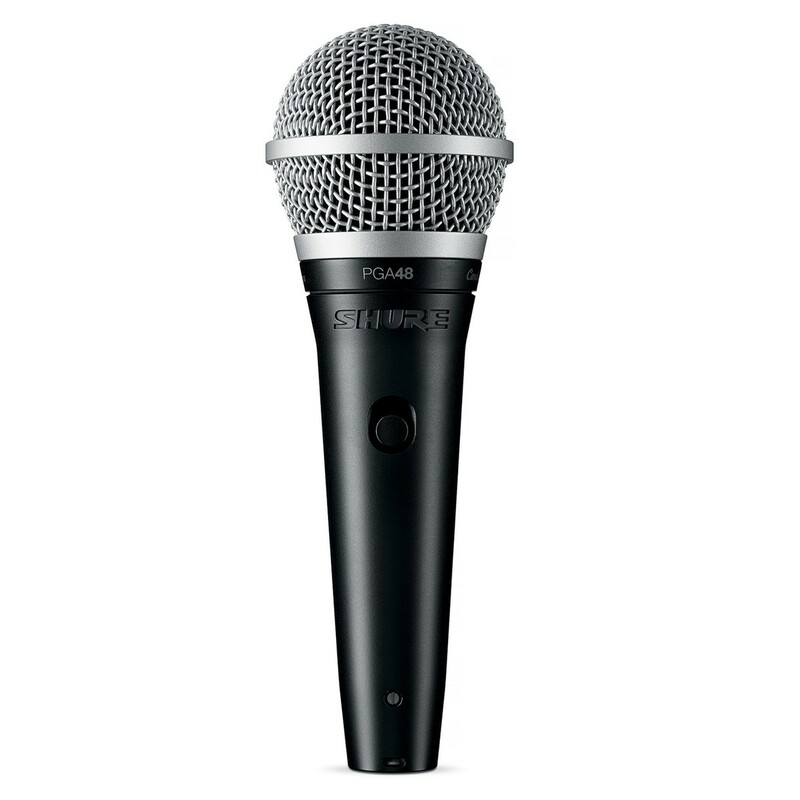 Another iconic dynamic microphone is the Shure SM-58. 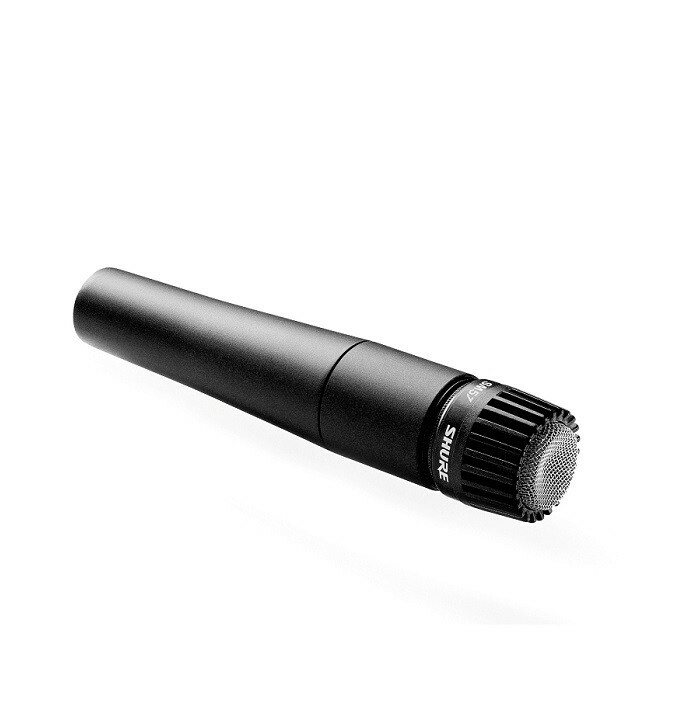 Virtually unchanged since its introduction in 1966, the SM-58 is a favorite vocal mic in live sound and concert applications. Using the same dynamic element in a different package, the SM-57 has its own place in history. 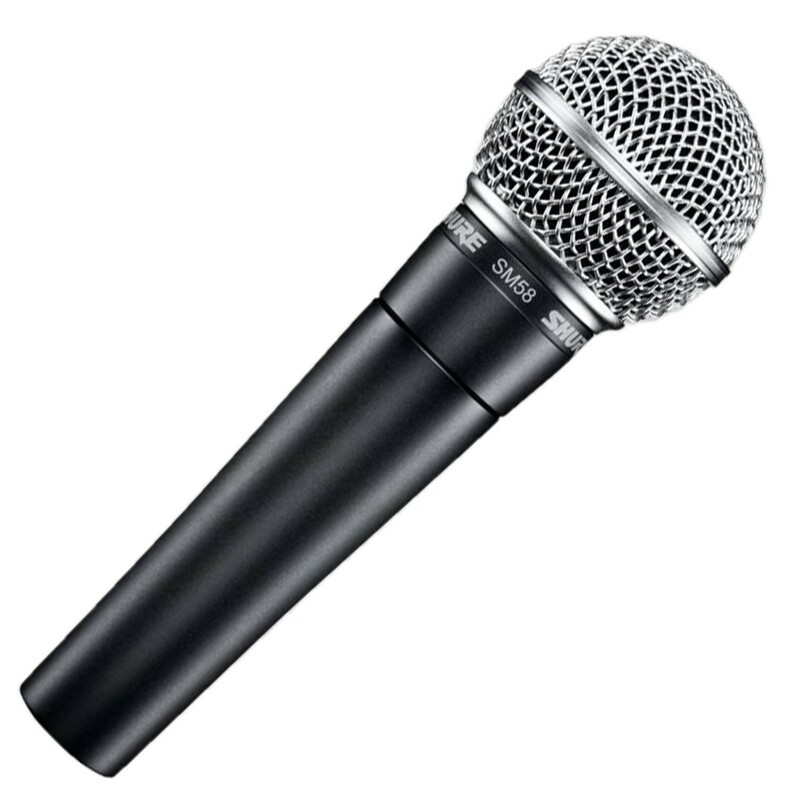 In addition to duty as the de facto snare drum mic, you can see the SM-57 in action every time the President of the United States speaks. His podium always sports two SM-57s complete with windscreens and a dual-mic mount. 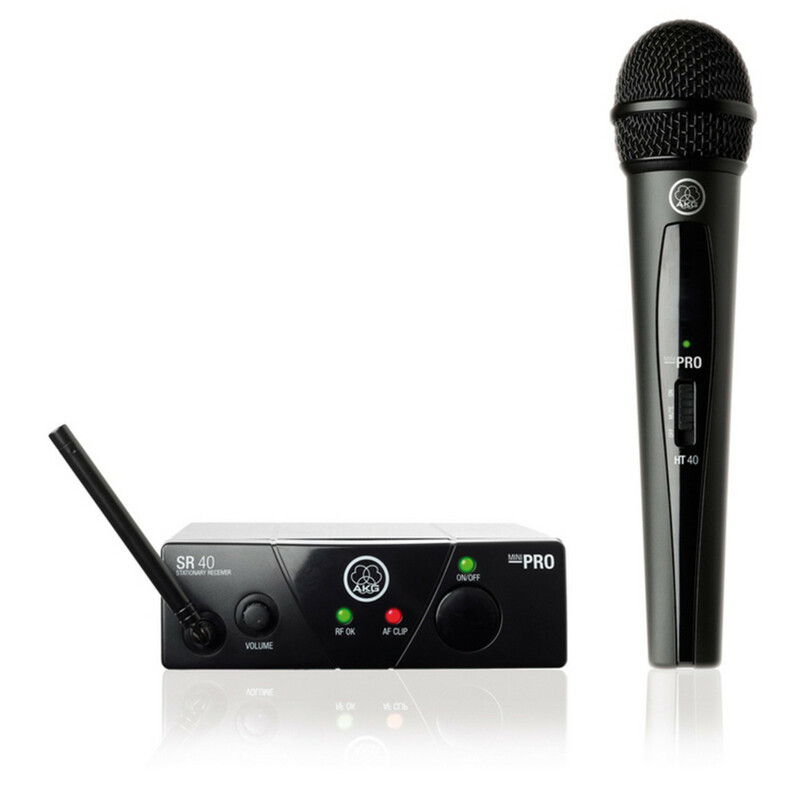 Providing the smallest and lightest pocket transmitter in its class, the AKG WMS 40 MINI can also be used with AKG miniature microphones, utilizing its robust mini XLR connector. 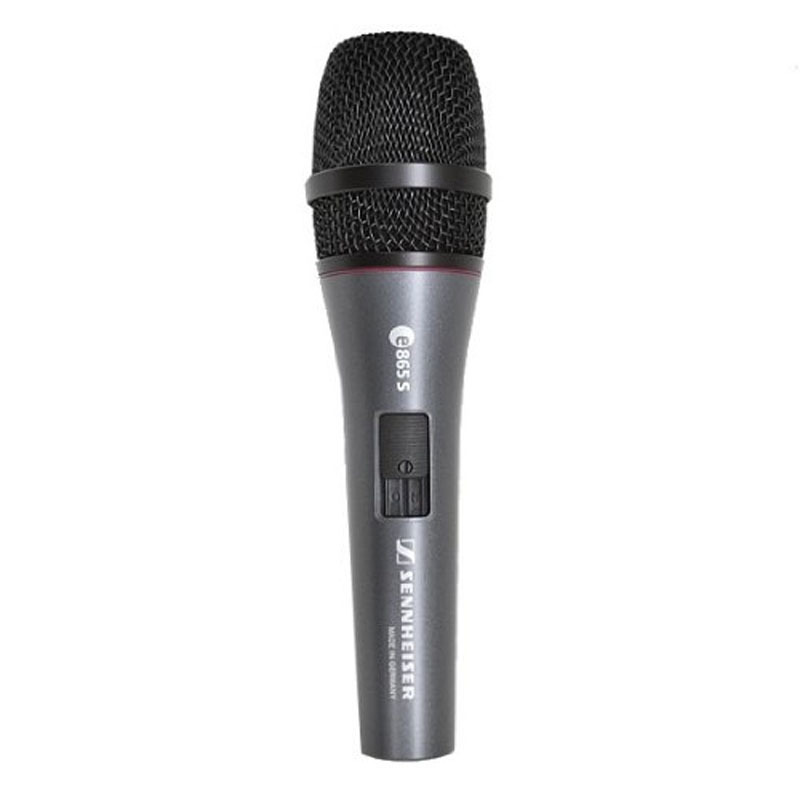 The rugged, handheld HT40 MINI transmitter offers a reliable dynamic microphone capsule with cardioid polar pattern protected by an all metal microphone head shell and pop filter. 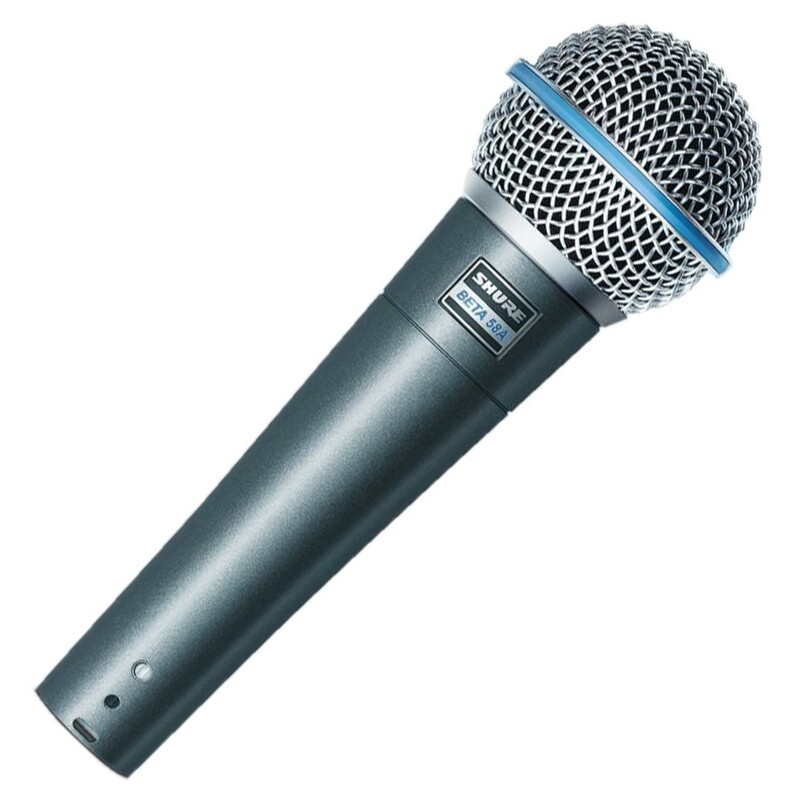 The microphone solution for the performer on a budget! 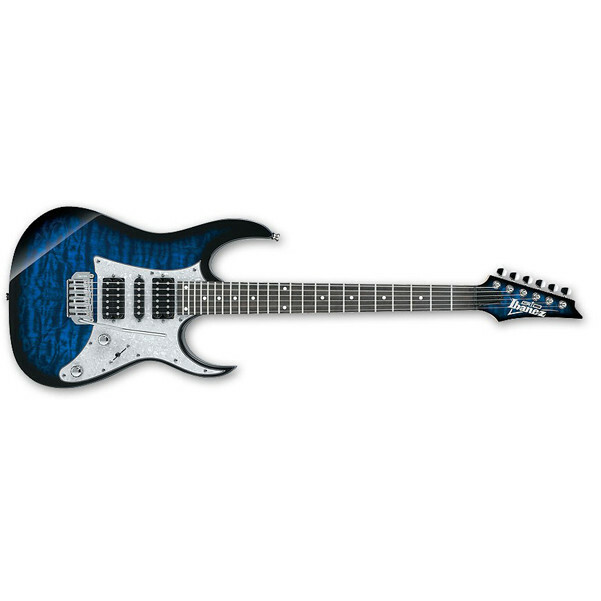 Now you can have Peavey performance and quality, at a new breakthrough low price. Dynamic capsule element, rugged body, metal mesh grill. Euphonycart presents Samson CS Series Handheld Mic With CS1 Vocal and CS2 Instrument Capsules. 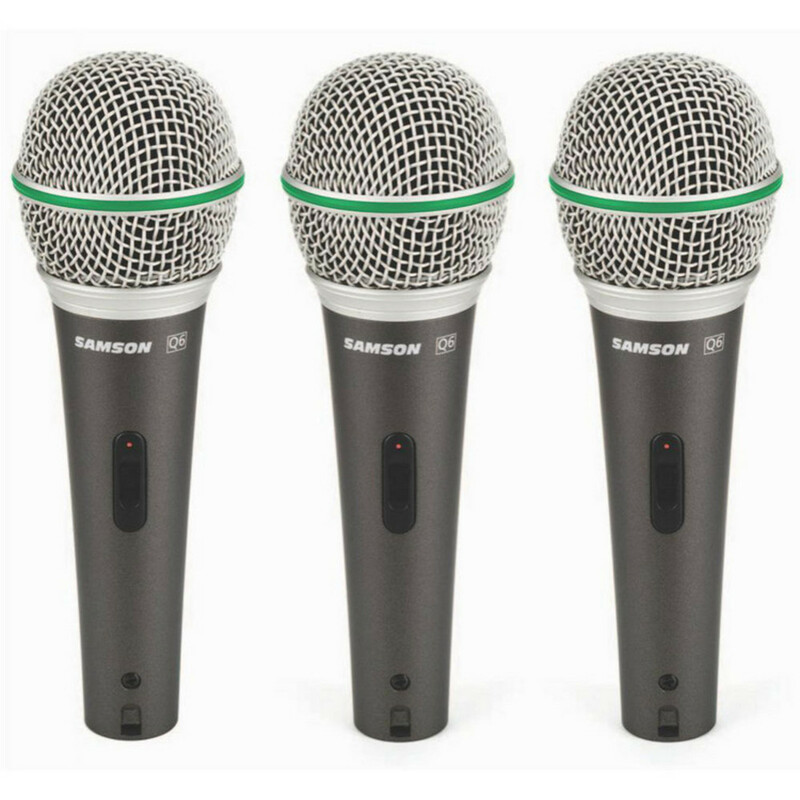 Samson’s CS Series (Capsule Select) Microphone offers the capabilities of two pro-level dynamic microphones in one versatile package. With easily interchangeable Vocal and Instrument mic capsules, the CS Series mic is perfect for capturing stunning vocal performances or miking your favorite instruments. 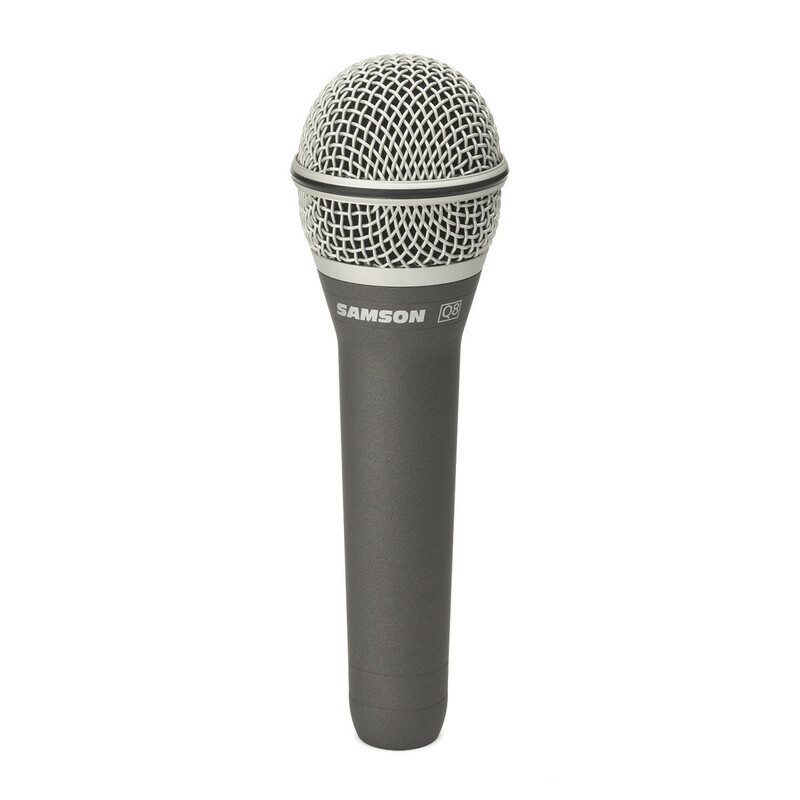 Samson‘s Q8 Professional Dynamic Vocal Microphone brings a high level of accuracy and audio performance to live and studio vocal miking applications. Using state-of-the-art microphone technology, the Q8 is engineered to the finest detail to provide the ultimate in sound reproduction and professionalism. 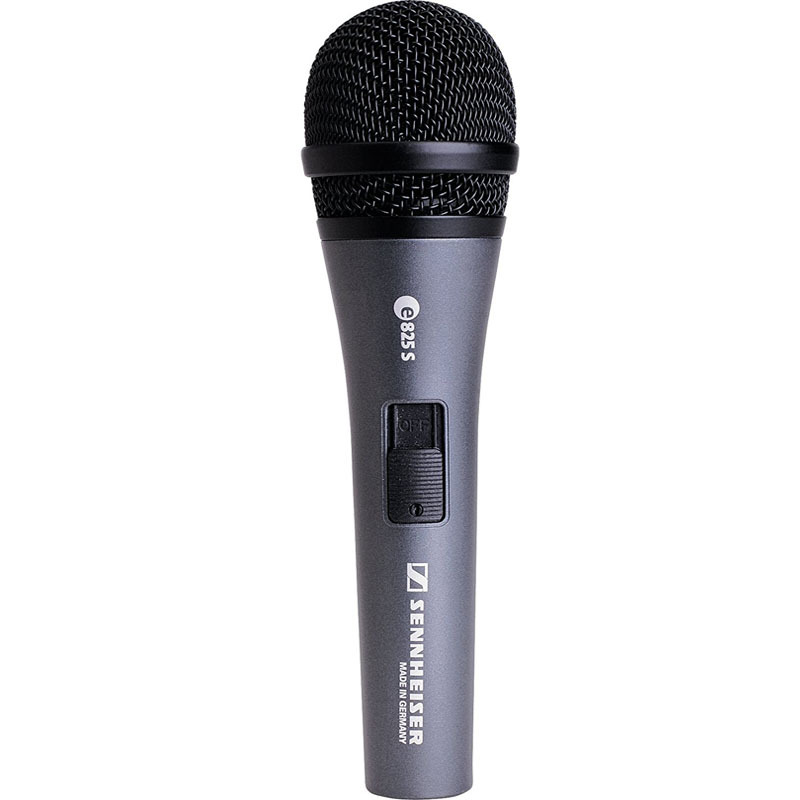 The Sennheiser e 825s lets you experience the difference a German-made vocal mic can make. 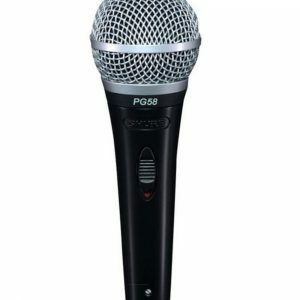 With the e825S microphone’s smooth sound, startling clarity and extended high-frequency response, your vocals will take on a new attitude! The cardioid pickup pattern provides excellent feedback and spillage rejection, while the rugged metal construction and internal damping isolates handling noise. Not plastic, metal. 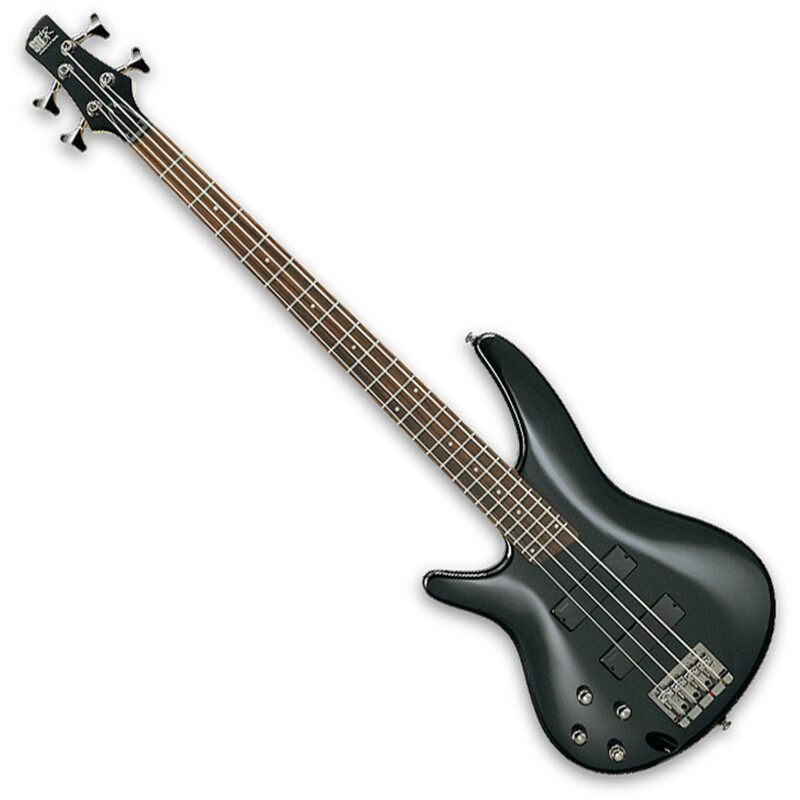 No muffled, mids-centric sound but tight low mids and present treble. 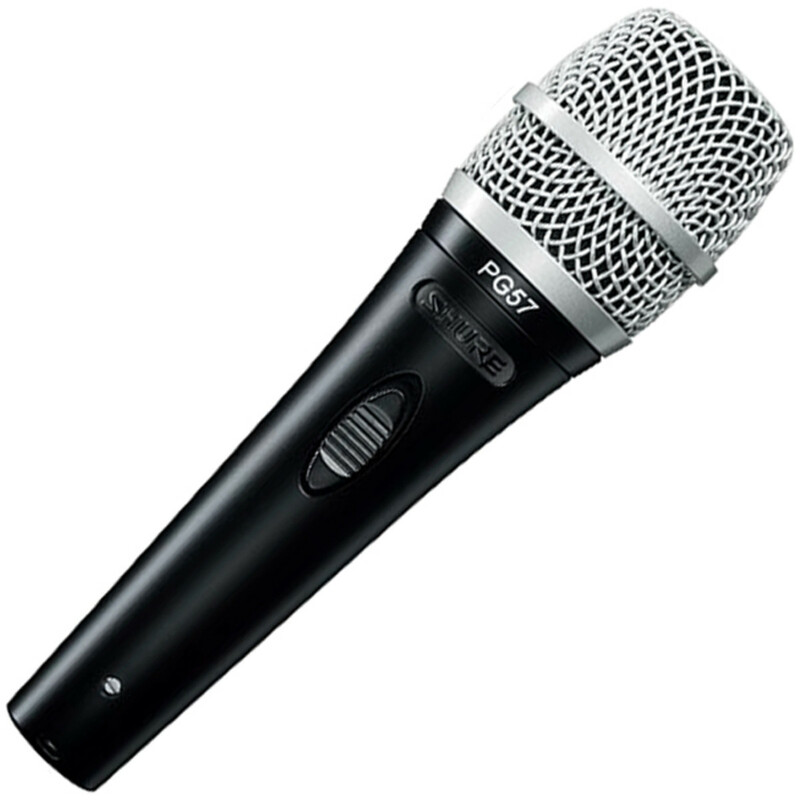 No problem with feedback, spill or handling noise; instead, maximum flexibility for the voice: the e 835 is a solid choice for performers. Moderation and singing remain crystal clear and natural, even at varying distances from the capsule. 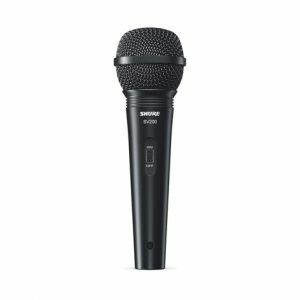 Its extremely rugged construction and uncomplicated handling make the e 835 the first choice for rehearsal rooms, home recording or the stage. The Sennheiser e845S Pro Performance Vocal Microphone features a tight super cardioid pattern. 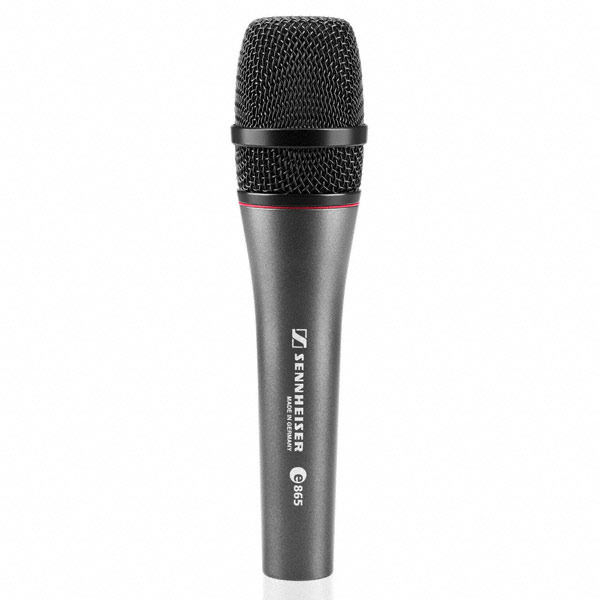 The e845S mic’s neodymium element lets you break through the mix and get far more gain-before-feedback than with a cardioid microphone. 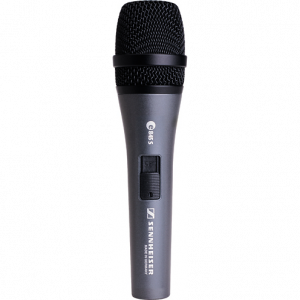 Like the rest of the evolution Series, Sennheiser builds the E845S microphone tough to handle the rigors of the road with aplomb. 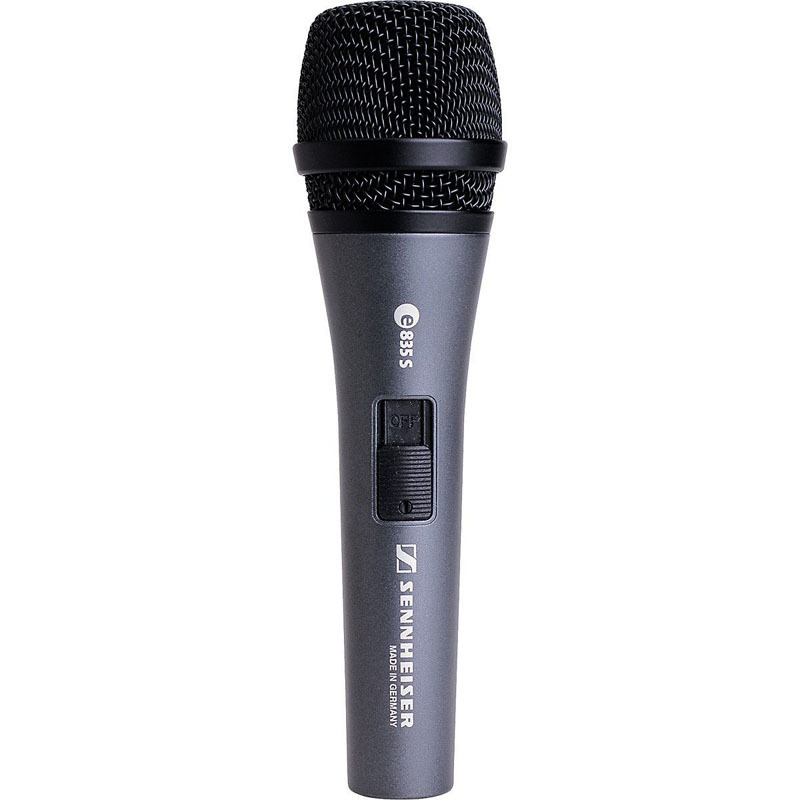 Sennheiser now includes a 10-year warranty with the E845S Pro Microphone! No matter whether it’s quiet or loud, far away or right up close: the e 865 makes every tone worth its weight in gold. The entry into the condenser class can be heard immediately. The highly sensitive membrane picks up the finest vocal nuances and transmits even extreme dynamics into the signal chain with ease. 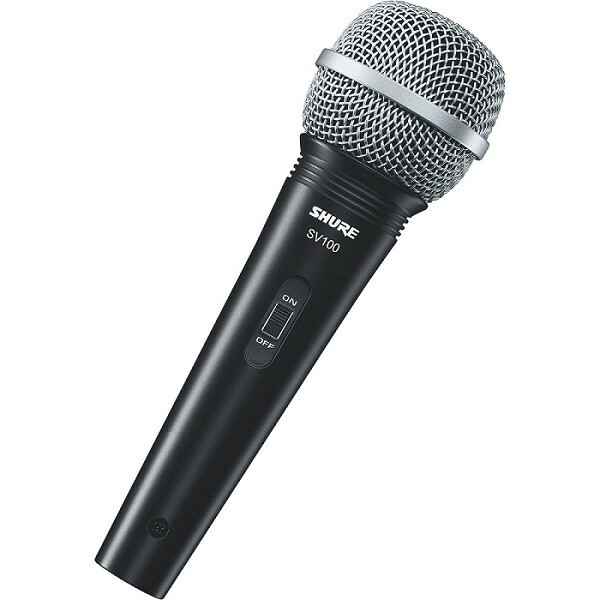 The Shure SM58 Vocal Microphone is ideal for both recording and performing, specifically designed for vocal applications. The uniform cardioid pickup pattern isolates the main sound source, allowing your voice to cut through the mix by minimizing background noise and reducing feedback. 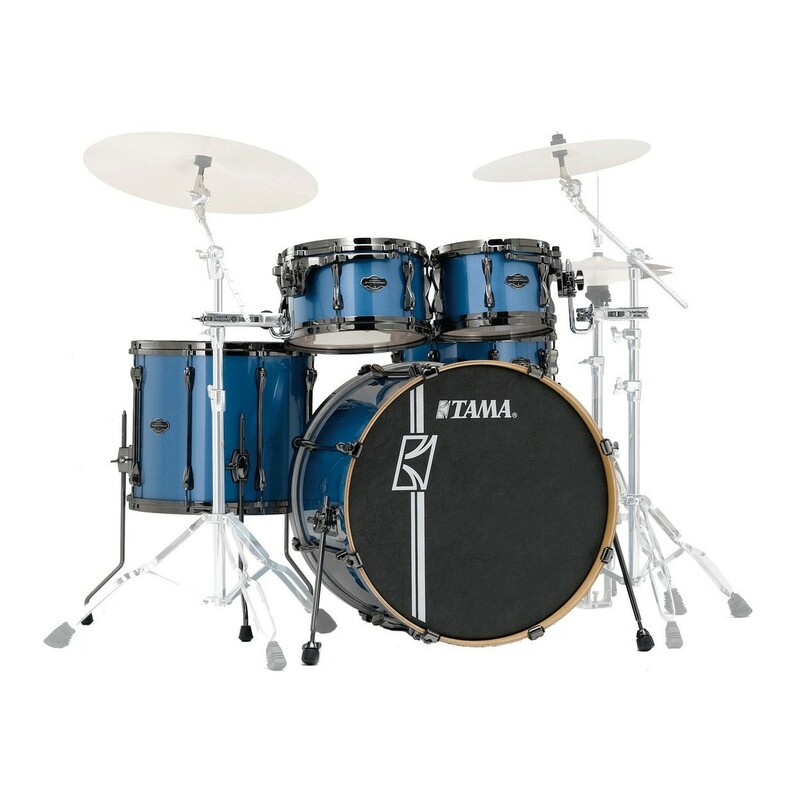 The rugged construction features a pneumatic shock-mount system and steel mesh grille that will last for years whilst still providing consistent performance and reliability. 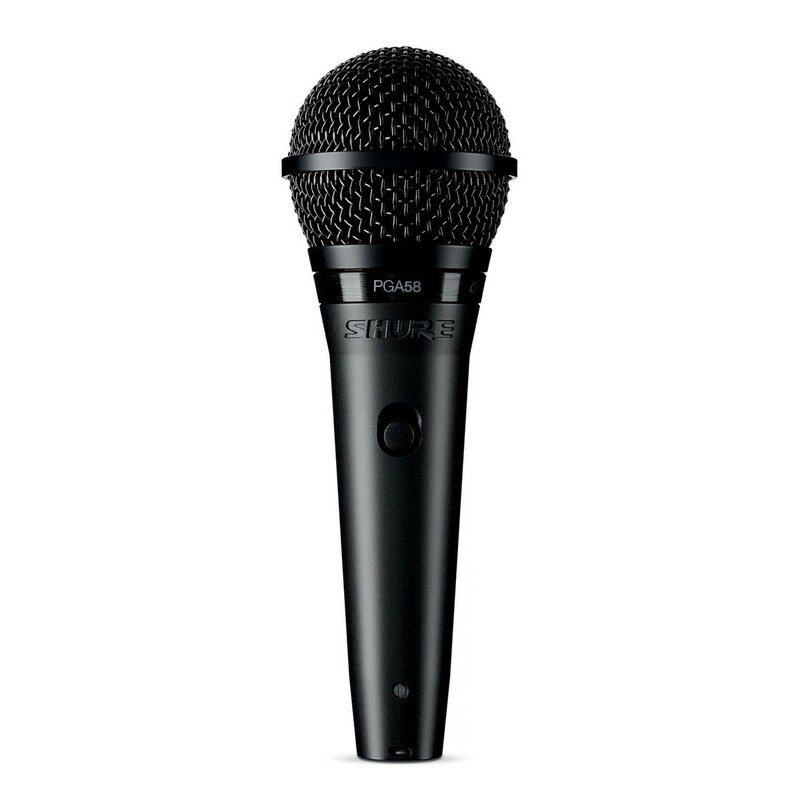 Tuned to accentuate the warmth and clarity of lead and back-up vocals, the Shure SM58 has a tailored vocal response for a sound which is a world standard. The unidirectional (cardioid) polar pattern of the SV100 helps reduce feedback, while the wide frequency response and high output deliver excellent sound quality. 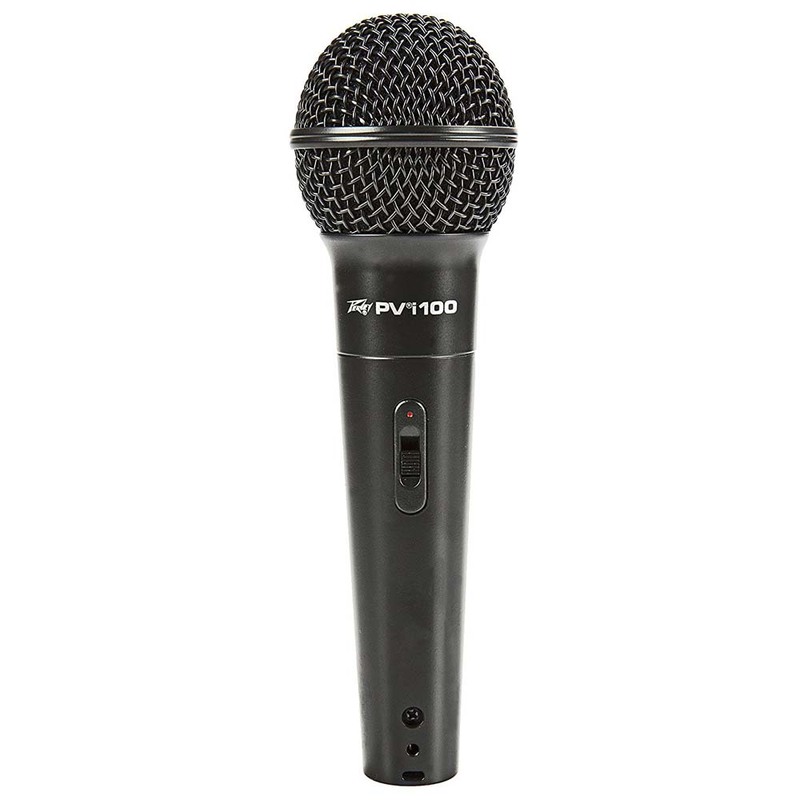 Ideal for spoken-word presentations, karaoke performances, multimedia, and instrument use, the SV100 includes a durable cable with ¼” (6.3 mm) plug for use with home or portable recording/karaoke systems.